Boston – EDENS, a national private owner, operator, and developer of retail real estate, recently announced three pivotal promotions in the company’s Boston headquarters. Former vice president of leasing, Elizabeth Furnelli, was named managing director, as was former vice president of property management, Gregg Edelstein, CPM. Michael Kenny was selected as the new vice president of investments. 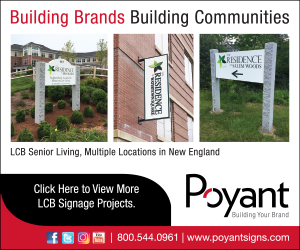 “Although we have been a strong player in the Boston area for more than 12 years, we are constantly looking to expand our portfolio in the Northeast and bring additional innovative concepts to our existing communities. This strategy makes it even more important to have the right leadership in place. After working with Elizabeth, Gregg, and Michael for a number of years, I have no doubt that they are the right people to take EDENS where we want to go,” said EDENS president and chief investment officer, Jodie W. McLean. Elizabeth Furnelli leads EDENS in strategic development and retailer relationships in the Northeast region, first as vice president of leasing and now as managing director. Furnelli joined EDENS in 2002 and opened the Boston regional headquarters office. She has more than 12 years of diverse sales, real estate marketing, leasing, and management experience. A native of Massachusetts, Furnelli holds a BA from the University of Massachusetts Amherst. She is a member of the International Council of Shopping Centers (ICSC) and serves on the planning committee for the ICSC New England Idea Exchange and Conference. As managing director, Gregg Edelstein oversees implementation of facility management plans for EDENS’ portfolio in the Northeast and Mid-Atlantic regions. Edelstein has more than 14 years of experience in property management and previously owned a third-party property management company. He joined EDENS in 2007, is a certified property manager, and received a Bachelor of Science in business administration from Northeastern University. With a decade of experience in leasing, development, and acquisitions at EDENS, Mike Kenny is now vice president of investments, responsible for the daily activity of EDENS’ portfolio of properties in New England and the New York MSA. Additionally, Mike directs the acquisition and disposition activity in the Northeast region. He earned a bachelor’s in business economics from Brown University and is an active member of both ICSC and the Urban Land Institute. EDENS owns and operates 34 properties in the Northeast region, including South Bay Center in Boston and Bishop’s Corner in West Hartford, Connecticut.